Dr Rock considers elements of Juliet Carter's Worldbridger Ceremony presentation which was recorded at the Glastonbury Assembly Rooms on Monday, 30th November 2015. In this presentation Juliet addresses the nature of the world in which we find ourselves and how it is that recognition of the energetic and the physical as a unity is helping participants to overcome the abuse and distraction that has characterised human activity for so long. This is the first time in 30 years of development that material has been made available in the public domain directly from Template workshops. The banks, acting entirely for profit and posing as stores of value, were bailed out to the tune of millions because they could not meet their obligations. Having been rescued from their own manifest failures, they continue to give no quarter to the thousands of folk who, in these profoundly difficult times, are unable to maintain the payments needed to keep their families warm, dry and sheltered. It is hard to see how such behaviour is anything less than attempted murder. Dave Willson in a wideranging discussion about alternative energy, irrigation, food and community. Tonight Dr Rock talks with Robert Howie-Smith, progenitor of a longstanding project which combines a PhD study of regeneration and creative community with the active reclamation of derelict spaces to create artistic opportunity for the benefit of the people. Rob now has 15 years of experience with many and varied successful creative projects to his name and is currently working to provide space for a music school in the English midlands. 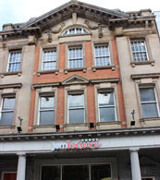 Provision of creative community spaces for creative communities … what a great idea! 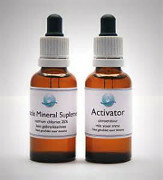 Dr Rock discusses health, diagnosis, nutrition and detoxification with Clive Decarle. Over many years Clive has proven to himself, and to many others, that the symptoms and effects of many common diseases can be reversed by addressing underlying nutritional deficiencies and by reducing levels of toxicity. In essence I study health and wellness while doctors study illness, drugs, radiation and surgery. Doctors do not study health and usually only spend half a day on the vital subject of nutrition. The benefits from vibrant good health are well-known to us all but few realise what the basic rules are and just how simple they are to follow. In this podcast Dr Rock chats with Dave Darby of LowImpact.org about different approaches to life, finance and organisation. 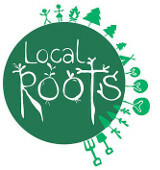 LowImpact.org is a hugely informative online resource for all who are interested in subjects as diverse as alternative building, health, politics, food and much more besides. 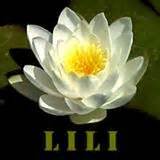 It started life as LILI, the Low Impact Living Initiative, and is now a network of versatile and informed individuals who are seeking alternative ways to address the multiple challenges of life, living and community. 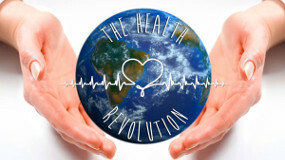 We discuss some of the means by which power and wealth might become more justly and productively distributed in a sustainable and non-corporate world, ideas that are further explored in the blogs, research, references, forum and resources at LowImpact.org. Live conversation with Mark Windows reveals that, in a land where all are supposedly considered equal under the law, men and women are acting beyond capacity and outside that law to manufacture local concensus. 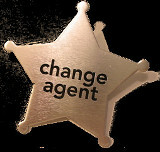 The change agents aim to implement rapid, wideranging and radical local change without consultation. 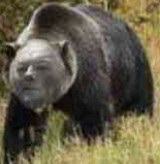 Originally broadcast live from an oak and beech grove, and generously hosted by Pentos.T.V. Pippa King discusses her presentation Sleepwalking into a Surveillance State, Nick Kollerstrom considers Did we Really Go to the Moon?, Jonathan Adams talks about lies and the no fit state and Greg Hallett tells us that his research into The Hidden King of England has revealed Albion's royals to be less than regal. Broadcast using open source software and 12v power from a field in North Wales. Dr Rock in conversation with Katie Creuynni, Steve Molyneux, Rob Buckle and a man known as Nick. Community and the sacred, words and spells, crop circles and the human factor … and a phd on the subject of an alternative knowledge base that is widely believed to comprise of nought but conspiracy theories. Stef Jackson and Andrea Proffitt discuss ethical beekeeping. Steve Jones (sector39.co.uk and DragonsCooperative.org.uk) on establishing successful cooperative housing projects and his extensive experiences with now well-established projects at Chickenshack and the Llanfyllin Workhouse . Olly Boon of TheRootsProject.com speaks about ceremony and the indigenous healing techniques of Peru. Pat Veldon discusses the nature of government and elections, constitutions and the self-governing nature of Brehon law. Pat hosts Scotland is Free on PeoplesInternetRadio.com every Monday night between 9pm and midnight. Earlier shows are available to download or listen again here. Dr Rock in conversation with Unique Lee centred around some of the content of the funny and thought-provoking youtube video Government Explained. Music, conversation and pictures from this year's Tan yn y Mynydd Festival in west Wales. Fire in the Mountain is a small festival which is largely set up, hosted and manned by volunteers. The farm which hosts the festival is transformed during the weeks of May each year to provide all the facilities necessary for 1500 or so people to meet, eat and dance, and to celebrate each other, fine music, good food and alternative health. A short slideshow to accompany the podcast is available here. The podcast includes music from the Buffalo Skinners, the CC Smugglers, Ed Hicks and the Nightcaps, Kidnap Alice, the Langan Band, Mik Artistik's Egotrip, Nuala Honan, Rob Heron and the Teapad Orchestra and Screamin Miss Jackson and the Slap ya Mama Big Band. Dr Rock in conversation with Matt and Tiff about the Forest School they have recently established outside Llandrindod Wells in Mid-Wales. Forest school is an inspirational process that offers all participants the opportunity to develop confidence and self-esteem through hands-on learning experiences in a woodland or natural environment with trees. Matt and Tiff aim to provide a rich and varied environment in which to foster confidence, initiative, problem-solving skills, and a love of nature and community. 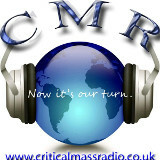 Dr Rock talks with Paul Giovanni, the founder of Critical Mass Radio, about his intention to unite in action and spirit a critical mass of living souls. The manifesto of the union calls for the power of choice, self-determination and self-realisation to be returned to we the people. 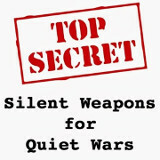 Readings from and thoughts upon Silent Weapons for Quiet Wars, a 'top secret' CIA training document that is believed to represent the doctrine adopted by the Bilderburg Group during its first known meeting in 1954. Live conversation with Stuart Ferraris who practises holistic dentistry in North Wales. Stuart explains that our oral health is intimately connected with the wellbeing of the body as whole and that complementary techniques such as homoeopathy, kinesiology and cranial osteopathy can be useful adjuncts to orthodox dental care. 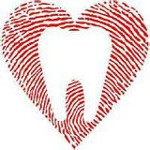 This broader view of dentistry enables Stuart to consider approaches that can lead not only to healthier teeth but to an overall improvement in the general management of health. Also being a vegan AND a marathon runner, animal rights and the need to be positive. The pod begins with audio from a video posted on the MMSTestimonials youtube channel called Proof the Red Cross Cured 154 Malaria Cases with MMS and contrasts the information therein with RTE Prime Time On MMS posted on the MMS Fraud channel. In the second half of the show Dr Rock discusses the science and effectiveness of MMS with Lori and Jimmy. Wide-ranging live conversation with Freemanjack. In the first hour of the show we discuss Jack's small but perfectly formed Optimum Sovereign Manifesto. By mid-show we move on to consider by what means dysfunction might be rendered obsolete through the development of a more clearly functional parallel society and the possible emergence of homo novus, a new kind of man, processes that Jack refers to as parallelism and bifurcation. For the final 45 minutes the conversation turns to the odd but scientifically well-supported idea that the whole of manifest existence arises from a small set of self-reflecting sums. Live conversation with Steven Thompson-Hall. Steve has been successful teaching manifestation principles for almost a decade and his book Wishing Well consistently receives enthusiastic reviews from readers. His style is firmly grounded in psychological roots with a distinct spiritual focus. His metaphysical career began with stage hypnosis in the early 90’s, but he quickly progressed as a certified hypnotherapist and NLP practitioner and by 2000 he was attending advanced meditation classes and turned his focus to spiritual growth. He is a gifted healer and teaches manifestation principles to assist people in uncovering and following their life path. 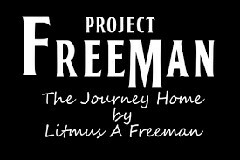 Live conversation with Litmus of ProjectFreeman.com about life on the road in Portugal, music, inspiration, calendars, astronomy, astrology, and freeing the mind and spirit. A wide-ranging live conversation with Pat Veldon, host of Peoples Internet Radio's Scotland Is Free, about politics, religion, individual authority, complaints and claims, the man and the office, equity, benefits, language, letters and The Construct. In 2008 a friend of Orion's was severely beaten by three police officers. After the beating was over the victim was charged with assaulting police officers and resisting arrest. He was later found guilty by a jury. 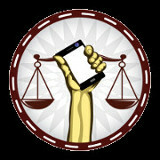 After the trial Orion was considering what evidence might have encouraged the jury to reach a different decision and the idea for SideKik was born. Sidekik solves the problems of data recording and preservation as well as a lack of legal knowledge, and works to bring accountability for police misconduct by streaming information from the phone onto secure internet servers.